New to UofO and down a bike? Just a reminder to all the returning college students: This is not a safe environment to leave your bike! Ideally, bikes should be indoors at night and locked up with a u-lock during the day. Cable locks alone are useless. If you live around the Courtside Apartments and your bike came up missing this morning, you might want to check the homeless camp on the tracks upstream and behind the Holiday Inn. This morning (5:40am) I saw a guy walking past Dutch Bros. on Franklin toward the river with two bikes. They didn’t look like his. 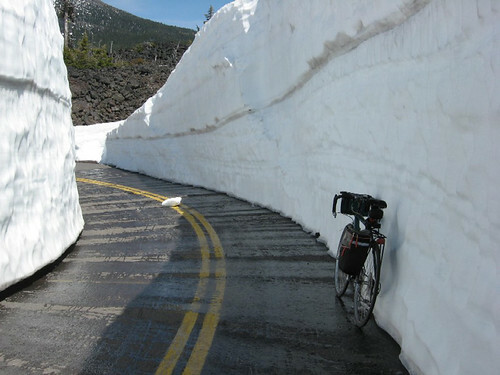 McKenzie Pass open to bikes! I did this with my family last spring and the kids loved it. It’s a big climb and can get pretty cold, but it’s one of a kind.